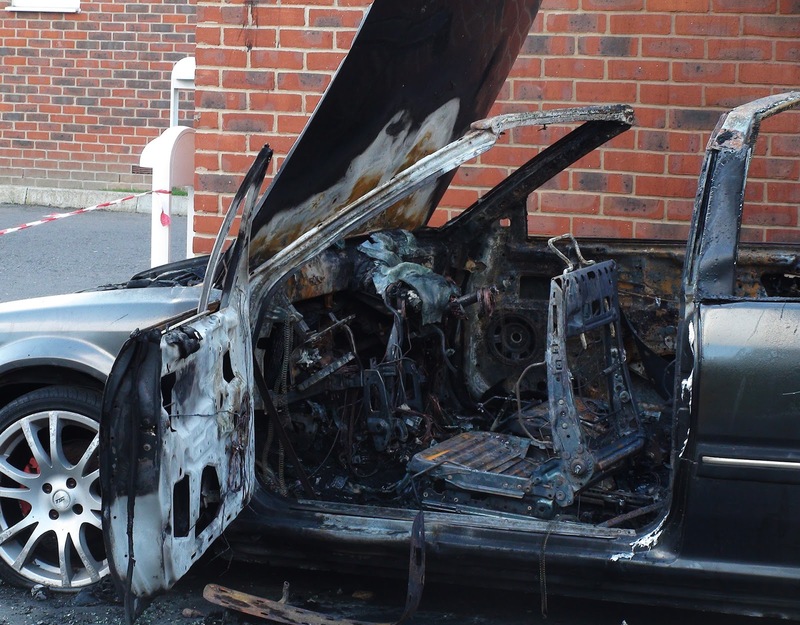 Residents of Parkview Crescent had an unpleasant surprise yesterday afternoon (around 5pm) when a Rover convertible was set alight in the car park behind the buildings there. The fire brigade arrived first and had put out the flames by the time the police arrived. The bin shed also suffered quite a bit of damage but luckily there were no reports of anyone being hurt. 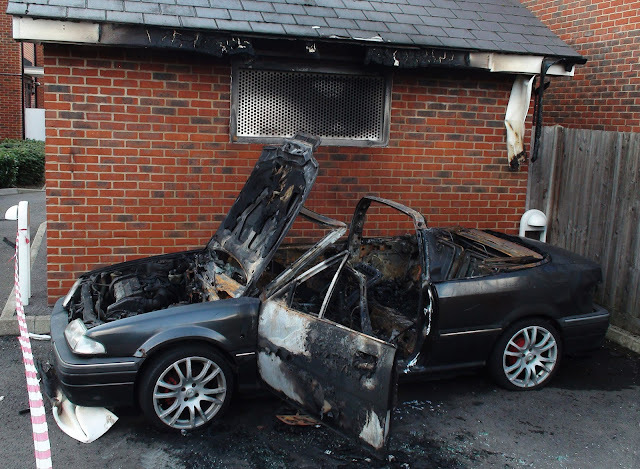 The saddest thing about this is the two boys who have been arrested on suspicion of arson are only 12 years old. They have been bailed to return to Sutton Police Station. But really - what sort of parents do these kids have? Some readers may dismiss it as normal behaviour for a social housing area but I know some really decent hard working people who live in this part of the Hamptons so it's not the whole area or the people there you can just write off. But a few people really need to pull their fingers out and start teaching their children the difference between right and wrong. If these kids are guilty then I hope there's an investigation into the parents as well.